Last week’s guest coach was Debby Kratky, the director of capacity building and training for Workforce Solutions in Tarrant County, Texas. People who have been out of the workforce for an extended period of time find it difficult to fill out an application, let alone land an interview. By understanding the language of strengths, they can describe themselves in new ways with fresh insight. Kratky doesn’t do this alone. She has given her staff the opportunity to discover and embrace their own strengths, making it easier for them to mentor and coach the individuals they work with. An individual who spent over 32 years in prison was thought by many to be unemployable. Using his strengths, he accepted who he was, made clear goals, and went out to accomplish those goals. Kratky’s staff successfully helped him find his first job since incarceration. A New Orleans man named Lonnie served a long prison sentence. Although he was willing to take any job, his dream job was to become a tugboat captain on the Mississippi River. Kratky advised him to focus on his dreams, and she helped him use his top five strengths to realize his potential. Lonnie is now a proud tugboat captain in New Orleans. Kratky believes that each person has their own dream job, and one person’s ideal job is not necessarily the same for anyone else. As coaches, it’s important to refrain from instilling our passions onto someone else. It’s key to act as a strengths guide, helping others find and accomplish their dreams. Join us for the next Called to Coach on August 9, from 1:00 to 1:30 U.S. Eastern Time, with guest Michael Dauphinee, an executive coach from the Dauphinee Group. Click here to access the registration page. 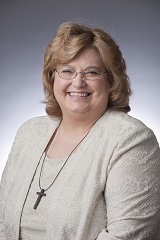 Debby Kratky is the Director of Capacity Building and Training for Workforce Solutions for Tarrant County. Debby is a subject matter expert for local, state, and national representatives on issues about ex-offenders and reentry, Welfare Reform, Homelessness and Fatherhood Programs, as well as families living in crisis.